Entry into the BAYBERRY is via a private two-story foyer with its large storage room and access to the attached one car garage. Upstairs you can comfortably entertain in the expansive living room and dining area while creating in the beautiful open-style kitchen. 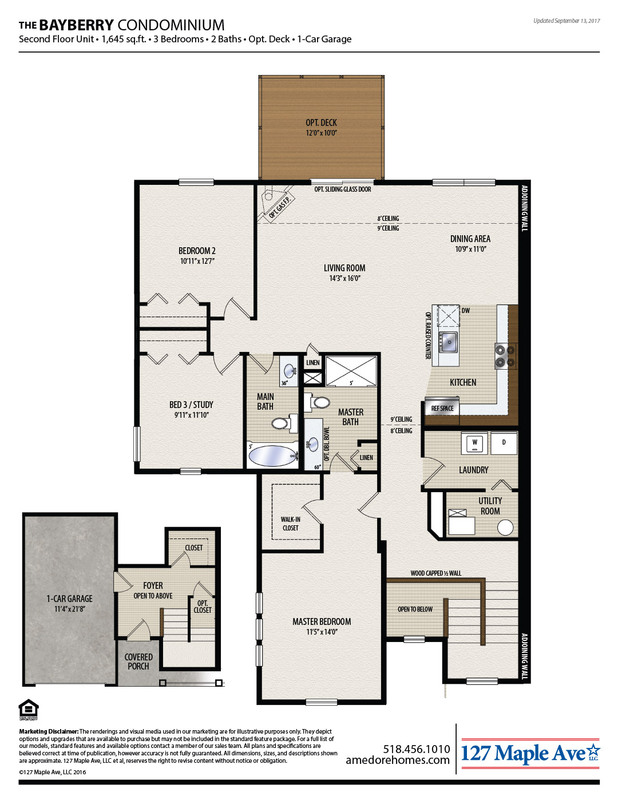 The private master suite includes a large walk-in closet and luxurious master bath. The second and third bedrooms add even more value and space to your home. 1-Car garage with insulated garage door. Luxury 5″ wood grain vinyl plank flooring in foyer, kitchen, and dining area. Plush ceramic tile floors in both bathrooms. Extra storage closet under stairs in foyer.